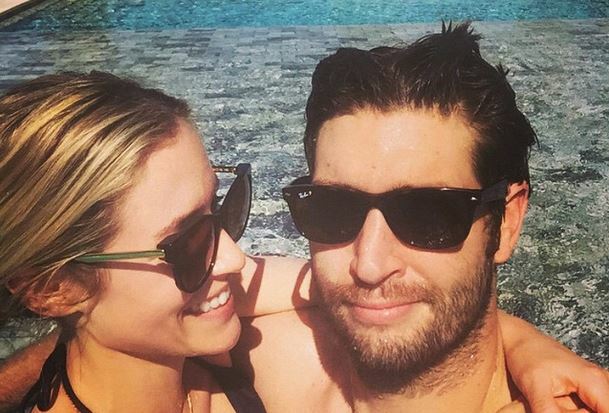 Since the Chicago Bears didn’t make the NFL playoffs, it looks like quarterback Jay Cutler is using his free time to indulge in some fun in the sun with The Hills alum and wife Kristin Cavallari, according to UsMagazine.com. Celebrity vacations are almost always enviable, and this one is no exception. Though we aren’t sure where the attractive duo are indulging in their celebrity getaway, we do know it involves warmth and a beach. Recently, Cutler has been feeling the heat after a less than stellar performance this season for the Chicago Bears. He no doubt needs some veg time to regroup! Celebrity vacations are usually extravagant, and we don’t all have that kind of money to spend. What are three budget-friendly beach vacations you can take with your partner? 1. Florida Panhandle: Instead of heading to Miami Beach, consider a vacation in the Florida Panhandle. Because the area has been somewhat depressed since the 2010 BP oil spill, it’s now rebounding and the sandy beaches are back to being gorgeous. Check out Panama City, Pensacola, South Walton or other popular area beaches. 2. South County, Rhode Island: While everyone else (including celebrity couples) sits in deadlocked traffic on Cape Code, consider checking out the fishing villages and scenic vistas of the Rhode Island coast. There are more than 20 beaches to choose from, including Atlantic Beach Park in Westerly, which boasts an antique carousel, batting cages, bumper boats and other amusements. 3. Huntington Beach, California: Have you ever heard the song “Surf City USA”? Well, Huntington Beach is the place Jan and Dean immortalized the song in the 1960’s. There are many casual lodging and dining options to choose from as well as 8 miles of beaches. Plus, the Huntington Beach Pier is the site of year-round events, like art shows, farmers markets, and volleyball/surfing competitions. Where are some other budget-friendly beach locations? Share your experiences below.